I used a base coat of Duri Rejuvacote, 2 coats of polish and finished with Glisten & Glow top coat. This polish is amazing. 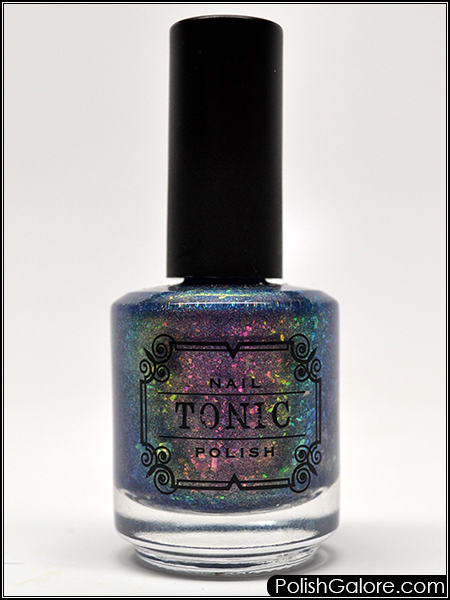 It's a periwinkle base with pink shimmers, is a super linear holographic and then also has a shimmer that is multichrome that shifts from golden to green AND has iridescent color changing flakes. 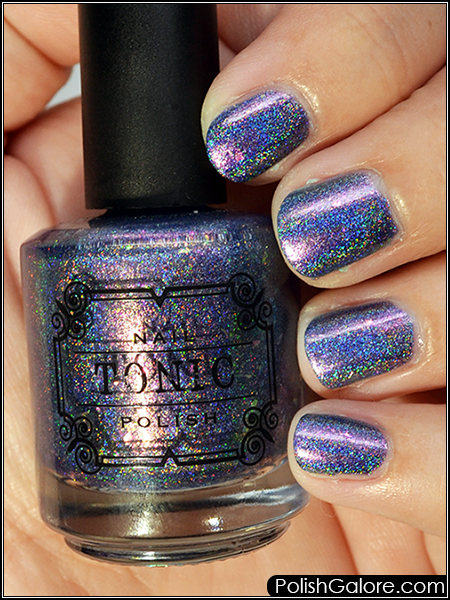 When you're in the sunlight, you see tons of holo and when you're in the shade, it's all about the flakes. That's why I had to take a picture of the bottle with flash. aaaaaaaaah! 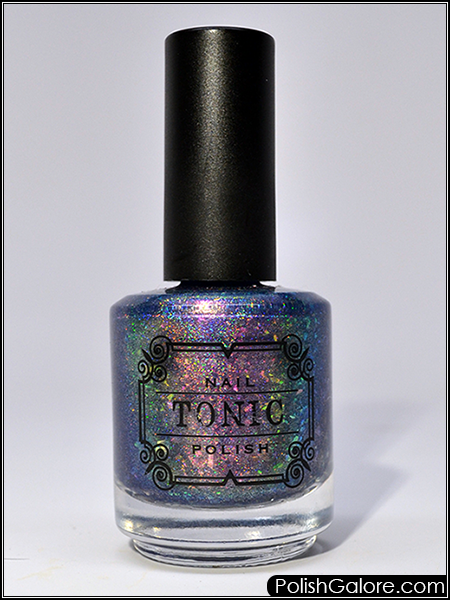 Also it's interesting to note that on Tonic's purchase page, it mentions that the flakes have a strong sulphur like smell that goes away when the polish dries. 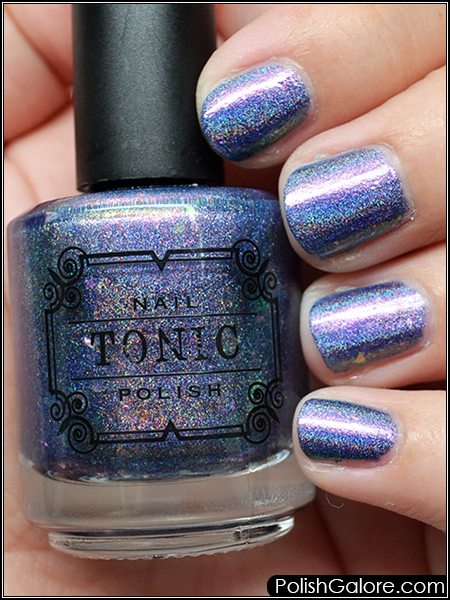 I didn't originally notice any smell during my Indie Spotlight when I live swatched this polish or again when I wore it for this manicure. However, after reading that, I decided to pull open the bottle and get a whiff and well, yeah when you get your nose down into it, I can smell it. But it definitely doesn't smell once the polish dries on your nail. Now for photos! I have one in my light box so you can see the flakes and one with the flash so you can see the holo. This polish is just nuts. Ugh I'm in love. This polish is just awesome. I'm so glad I grabbed it and you still can as of press time!